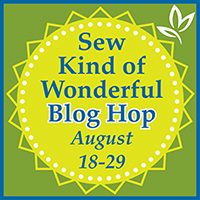 Welcome to today's stop on the Sew Kind of Wonderful Blog Hop. I'm so happy to be a part of sharing my experience with the great items available from the fabulous ladies from Sew Kind of Wonderful. In case you are not familiar with the Quick Curve Ruler (QCR), and have been wondering if you too could conquer curved piecing, I can wholeheartedly say a definite yes! Jenny was generous enough to send me the QCR and a copy of their sampler quilt pattern, Curve It Up. I had a fat quarter stack of Kona Dimensions (you can find them here), a version of my favorite Kona solids with a wonderful honeycomb/hexie texture. The texture is especially beautiful on the lighter colors. And I knew the colors would just pop against black. I worked my way through the whole pattern, block by block. By the end, I had cut and successfully sewn many different curves, from very gentle ones to a few that were a little less gentle. The ruler makes everything easy to cut. And each part of the block construction gives you plenty of wiggle room, so you can easily trim and match all the components. There are plenty of illustrations to guide you through each block, step by step. I also love that there is very little fabric waste. Cutting the curved pieces for my grandson's animal quilt with this ruler would have saved a LOT of fabric. This was the first block I made. I thought it would be my favorite. And then I made this one. I would love a whole quilt made with this block. The pattern calls for 15 fat quarters, but I only had 14 to work with, so I had to make some creative "design decisions" along the way in order to have enough fabric. This accounts for several blocks with a lot more colors than I had planned. When I made the "dresden" and "fan" blocks, the name for the quilt popped into my mind: "Under the Big Top." Although there are some really great curved border options in the pattern, there was LOT going on with all the strong colors and graphic design. So I opted for simple 2" sashing between each block to give the eye a place to rest and let each block shine on its own. 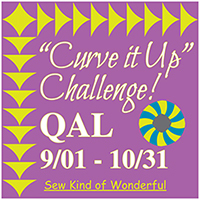 The bloghop is going to be followed by a 'Curve it up' Challenge Quilt-a-long on the Sew Kind of Wonderful blog starting in September, so join in the bloghop, get inspired and get ready to Curve Up! The wonderful ladies are generously giving away a copy of one of their patterns. Just go to their website and check out all the patterns they have to offer, then come back and comment on your favorite. Since I seem to be in a "solids" phase right now, I would also love to know if you enjoy sewing with solids. A winner will be randomly chosen on Tuesday, August 26th. My favorite pattern from Sew Kind of Wonderful (at the moment) is Metro Lattice. 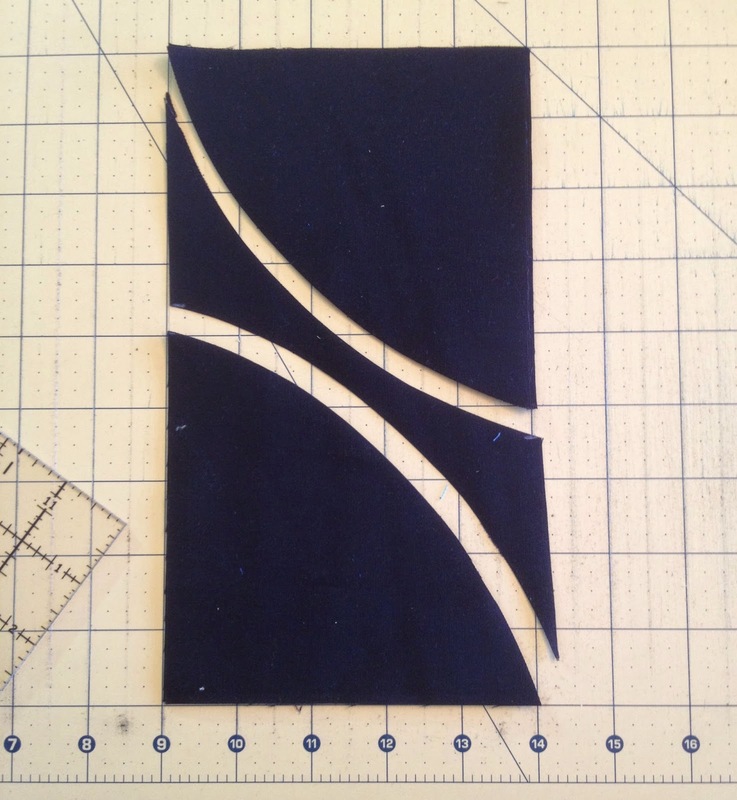 I don't know if this is doable for a first curved piecing project but I'd like to give it a try! Disclosure: This post is sponsored by Sew Kind of Wonderful. I received a free ruler and a copy of the Curve It Sampler pattern in exchange for my participation in this blog hop. My opinions are based on my hands-on experience with the products. 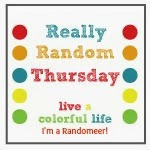 I'm linking up here today too! I love this ruler and pattern. I made 4 of the quilts and am working on a couple others. Favorite pattern is metro scope . Thanks for showing us your quilts. I don't mind sewing with solids-I think that the Modern Quilt Movement will change that alot more too. But, yes, I have sewn with solids and enjoy the colors alot. I like the Metro Twist the best right now. Depends on what day I look at their patterns. I would love to do a metro waves quilt! And yes, I am enjoying solids as well. just finished a Marcelle Medallion all in solids! Fantastic job! It's really beautiful and looks challenging. I don't have a big selection of solids yet, so I haven't done much with them. I love it, though- you can really let the pattern shine when there's less going on in the fabric. I think their Deco Shimmer is my favourite, but there all so pretty! Wow, I think you sold me on the Kona Dimensions-- good picture! I love your bright version of Curve it Up. I'd call it Neon Amish (Hmm, or Amish Neon)!!! As for fave patterns of Jenny's, I'd love to try Curve it Up and/or Metro Hoops. Wow! It was fun looking at each block, but the end result is just stunning! I haven't ever made a wuilt out of just solids, but now I know I need to! My favorite is the Metro Hoops - it reminds me of the wedding ring pattern. I have some bright prints that will give it a spark. Looks like a quick way to make the blocks faster. Wow your quilt is awesome. I so love how you made the colors pop, and how each block is different. I must try something like this. I have yet to make curves. It is on my to-do list. Thanks for this chance to win. Your quilt is so beautiful! Love the bright colors. That Dimensions fabric is pretty cool. I love the great variety of fun blocks in this project. Definitely have to try this something. Urban Pods is appealing to me, both in design and colour choice. I'm amazed at the number of patterns these two have come up with. Your choice of solids really makes the design sing. I love solids for just that reason. Thanks for the giveaway. Fabulous! Stunning work as always!! I love solids but I've never made a quilt entirely of solids! SO beautiful in solids - I would totally do that! Urban Winter would be my first choice....then it's hard to chose - so many pretties! Thanks for a chance to win! That looks fabulous! I have been eyeing Metro Rings. I like metro waves. I love to quilt with solids. But I especially love scraps! I would love to try the Metro Medallion pattern. I really like Urban Pods! Time for me to get "curvy"! Those colors are beautiful against the black! Great choice, Cindy! And yes, I too, enjoy working with solids. I find they are easier to pair up with each other then prints are. I actually have 2 favorites: Metro Scope and Metro Waves. However, all of their patterns looks so fabulous!! Beautiful quilt. When choosing fabric, I tend to go for blenders and prints. But I do see the attraction of using a solid black or dark grey for a background. My favorite pattern: Metro Medallion. Your quilt is beautiful. Solid colored fabric seems like a light-bulb moment to me. It is very affordable, and looks wonderful mixed with prints....and looks equally wonderful completely surrounded with other solids. The Metro Twist pattern is my favourite today but they all look tempting. I have noticed that several bloggers have mentioned that there is very little waste and that has caught my attention. I'm a frugal quilter. Love the Urban Windows. Yes iv'e gotten in a solids mode, i think it's because of all the bright colors that are coming out. Metro Twist is simple, modern, and fun. I think it's my favorite. I have not done much sewing with solids, I just love prints too much. I should consider it though, and step outside my comfort zone. I love the Metro Lattice pattern. I also prefer to use solids in my quilts. Thanks! Metro medallion is my current favorite! Thus far I haven't used solid fabrics, love prints, but I do love the look of quilting on the solids, so I must try a solid quilt. Maybe it would be urban Pods, lots of space for fun quilting. I would love to try Metro Rings. I have the ruler, just haven't tried it yet. Don't ask me what I'm waiting for!! I like the look of solids, but I have a difficult time choosing that to work with. I am currently working on my first quilt with solids. I like it, but I'm not in love with it yet. At this point I still much prefer prints. I like Urban Chained. I usually sew with prints that read as solids. I like the Metro Twist, Urban Abacus and Urban Pods patterns. I have not gotten into the sewing with solids craze. I love colors and prints. I love all the patterns for QCR, but do not have the curve it up sampler yet. Thank you for the chance to win it. Love working with solids. Would love to win a copy of Urban Holiday. Love Deco the Halls! Solids are starting become more and more of a recurring trend with my sewing - love them!!! Your quilt is beautiful! Metro Lattice is one of my favorite patterns. Oh wow, wow and WOW!! Your blocks and quilt look fantastic!! I tried QCR a while ago and really LOVE it! Did three patterns so far and have a long TO-DO list that now includes this Curve It Up sampler, since yours is so inspiring! Also - I seem to be getting into the "solids phase too! And having seen these Kona Dimensions now (not sure how I missed those so far, ha ha!) - I want them all! Thank you for a great giveaway, glad I found and follow your blog! Metro Hoops pattern is n my list, as well as scope! I like Metro Medallion- it's GORGEOUS! A also like working with solids- and mixing them with prints. Metro Twist is one of my favorites right now. I have an entire list of her patterns however that I want. Urban Beads is another I really love. I have to say the awesome fabrics you have used I had been considering awhile back and ended up getting something else instead. Now I am kicking myself as they really do add so much to your block. I've gone back and forth with an all solids quilt. I love the look of them, but that actual quilting done to those is really what makes a huge difference and I'm not comfortable at all in my own quilting skills yet. Once I have the quilting down and feel much better at my own skills, I will for sure be doing some solid quilts because they really are very pretty. I wanted to see the quilt for your grandson and when I clicked the link, I wasn't sure you had given the correct link. You'd said it was an animal quilt and at first glance that did not look like any animals I've ever seen. LOL But, after trying the link two more times, I noticed and read the last time what you had said about that picture. I clicked the link you gave there and then saw the animals. What a great quilt! How fun. Thanks for that link too. Oh those dimensions fabrics are rather cool, I've never seen them before! Love your dimensional fabrics - I love solids and these kick it up a notch!!! I love the Urban Pods and Urban Chains. I bought the ruler on the Row by Row Shop Hop, and winning a pattern for it would be fabulous!!! I love the Metro Lattice!!! would loooooove to make one! Metro Hoops has caught my interest! And yes, I have just this year started to use solids. Curves....looks wonderful! The solid and black are such a great combo. Your quilt is wonderful!!! I enjoyed looking at your blog. Your friend's urban 9-patch is terrific! Of the patterns I don't already have, I am drawn to Urban Lattice and Urban Twist. I have the ruler, several of the patterns and have ordered Curve it Up and the book (just yesterday). Have made the Urban Abacus and have 9 patch and Metro Hoop started. Just love her designs. Your quilt is stunning, Cindy! Good for you to have made a quilt with the QCR already. I sure like the Metro Rings quilt pattern. And gosh, wouldn't I like to win on the 26th. That's our 42nd wedding anniversary! 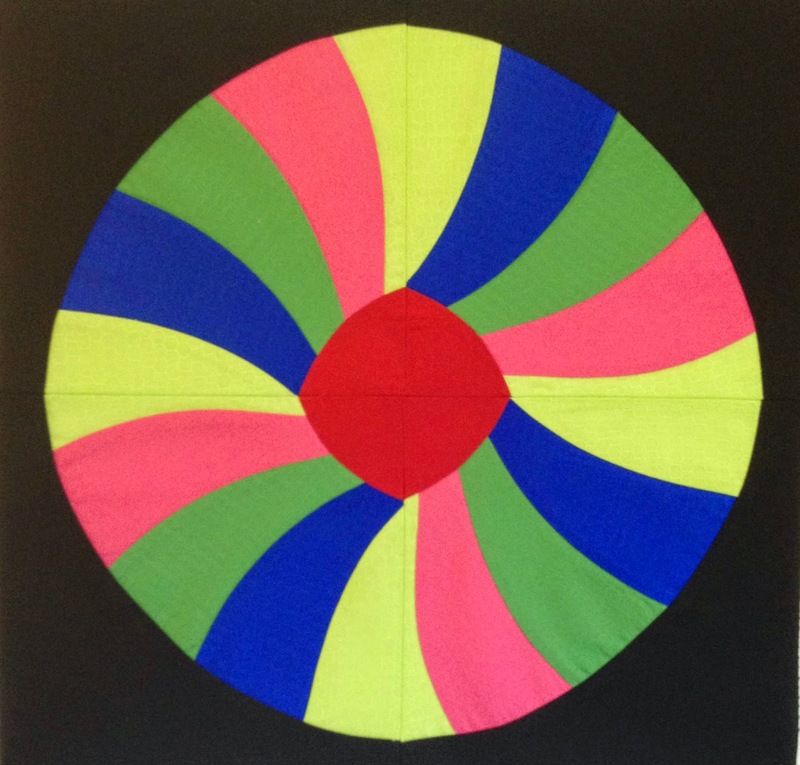 Love your quilt and the way the black background makes the solids pop. I like working with solids and think they would be perfect on any of Jenny's patterns. My current favorite is Deco Shimmer. I really like Metro Scope! Love the Kona Dimensions you used, your quilt is stunning. I've been using a lot of black, white and greys as solids but after seeing our colours I am very tempted! Yes I love to sew with solids ! I would choose Metro Rings as next pattern. Metro rings is my favorite pattern. I do enjoy solids and have made a couple of quilts in all solids, but mostly, I've lately begun to incorporate more solids into the mix with prints, and I think that's something I'm going to do more of in the near future. I love the look of Urban Winter, which I would make in my all-time favourite range of Midwinter Reds. I also love using solids and have recently used all solids to make a couple of quilts. Urban Birthday is my favourite!! Your quilt is fantastic!!!! Urban Pods would be my choice. I haven't gotten into solids yet, but your quilt is beautiful. I really like the Metro Lattice pattern. I don't have many solids, and thus haven't sewn with them much, but I'd love to get more and give it a shot. I love Urban Beads! Seeing all these beautiful curves...I want one of those! I love solids and mainly work with them. Picking prints is agonizing for me! All the patterns look like fun - I'd like to try Metro Rings. Haven't done much with solids - I usually choose tone on tone prints. But your quilt is awesome! Wow! Love the honeycomb design on the fabric and the curves-the are just wow. I've been afraid of curves for a long time but this is making it look wonderful and doable! Thanks for sharing and thank you for saying there was little waste, I hate to waste any of the lovely fabrics I bring home. Your quilt is stunning! The pattern I like is Urban 9 Patch. I made one solid quilt this winter and am planning another right now! Really like the black background and all the bright colors. Great job. I love so many of the patterns! I would love to try Metro Medallions. I have been loving both their metro medallions and their metro twist! I'm still relatively new to the quilt world, but I think solids have their place, as do patterns. You can really change up a pattern by using solids instead of patterned fabric and I just love that! I'm partial to Metro Twist, but they all look good, and I'd like to give the ruler a try. Your quilt with the solids is so striking! I don't usually sew with solids, but I'm just beginning to machine piece and quilt, so have stuck with precuts mostly. I haven't worked with solids to much other than for backgrounds. I should try them. I love the fabric you used! I think the Metro Medallion is wonderful! I'm into Metro Twist right now. It's a great pattern. I do use solids. I tend to go with a LOT of one or two solids in one quilt or only use it as an accent. I would like to learn the trick of balancing with prints. Some quilters have a knack for pairing fabrics. I love your 'black' quilt. Can't wait to see it quilted. I can't tell you how many times that I have looked at that ruler and almost purchased it! One of these days.....! That sampler pattern is a good way to learn lots of techniques for using it, I suppose. Your quilt is terrific! I don't tend to use many solids in my quilts, perhaps because a lot of my sewing is done by hand and I find a lot of them harder to hand sew through? (Apart from Oakshott, they're a dream to hand piece!) I think Metro Lattice is my favourite pattern! No need to include me in the giveaway but I wanted to say how fabulous that sampler quilt is. There you are. . . just quietly working away while I do nothing but have a root canal. Ah! the unfairness of it all! Kidding. I love that quilt--you are a STAR! Pretty quilt. I would chose metro waves. I haven't tried a solid fabric quilt yet. Thanks for the giveaway. I don't use solids much, bu I love your quilt!! My favorite pattern is the Metro Rings. I like the Tic Tac Deco pattern. I have joined a Kona Solids stash builder thru a LQS. I saw the dimensional solids in April, but have not seen them since. I would love to try them out. I like the Metro Lattice pattern and I love solids. I like your ideas and quilts. You are fearless with black and have an eye for strong color. I'll be following you. If you are in a solids 'phase' I'd love to see the rest of the time. I am moving towards modern and more solids but it is very hard so far. Love the curved ruler and hope to try Urban Window for showing more variety. Again, hooray for your use of solids and black. I like the Metro Twist pattern. I have not done a solids quilt for about 10 years. Maybe time for another! I am torn between Metro Rings and Metro Medallion but would like to make all the patterns that are offered. Your sampler is beautiful in solids against the black background. I'm really liking what I'm seeing with Metro Rings, but your solids sampler is amazing. Wonderful job on that! I have not done anything yet with solids, but I have a fat quarter pack. Thank you for your inspiration! And the chance to win! I'd love to try the Metro Rings. I have made a couple of other patterns and love this ruler. Would either keep it as a spare or give it to a friend so we could make curved quilts together. Thanks for the chance to win. I Love the Urban Abacus. And you have been busy!! Love your quilt!!!! All of her quilts are amazing - I love the metro waves one. I am loving Metro Twist... But seriously all of the patterns are so cool!!! I would love to play with this ruler!! WOW! 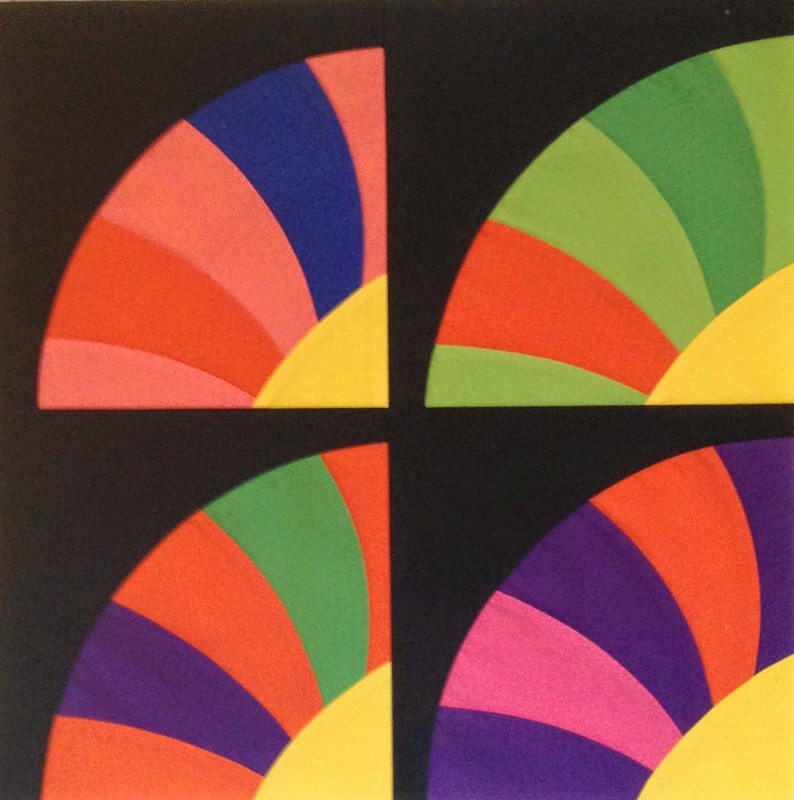 Love your quilt, especially with the bright solids popping against the black. I have just about convinced myself that maybe I can do curves, I am loving the way the blocks are turning out. I love the quilt! Great with such a dark background. I really like the metro lattice quilt pattern. Love solids, and have been using more of them lately! I like solids but I prefer to combine them with some prints. My fav pattern would be Urban Pods. Thx. I'd go with Urban Nine-Patch. Thanks for the chance. I like Modern Rings and I have been using more solids in my quilts lately. I love the look of the ones you used. I like the metro hoops, there are many of her patterns that I would like to try. I have not used many solids before, but I am starting to use more of them lately. Thanks for the giveaway. I have a few favourites, but I would really like to make Metro Hoops. I have ordered the Curve It Up pattern on her sale this week but I would also like to do the Urban Tiles. You have done a fantastic job with these solids and black background. Stunning!! I have a few patterns - have done some of the QAL's...my favorite patterns are tied: Metro Rings (I am currently working on) and Urban Winter (finally have the fabric collected - YAY!) I think Metro Waves would be pretty awesome in solids! I loe the deco shimmer or urban winter. I love the urban nine patch. I've not worked in all solids before. But I do find myself looking to add more solids to my stash so maybe it's time to experiment. Metro hoops, but I really like all of them. It's so hard to choose! Metro lattice looks great! Metro Hoops looks awesome!!! What a fab tool!!! I love your version of Curve It Up. Although I don't really like sampler quilts, I think that one would be great to make. And it certainly would stretch my curves abilities. Thanks. I love how the brights pop against the black! My favorite is Metro Hoops...but it is hard to choose just one! I really like Metro Hoops! Thanks for the chance to win! I do like solids, but never used all solids in a quilt. Now after I see your masterpieces, I will start. You created a quilt that I would have never attempted with out the Curve Ruler. There is still hope again. thanks for the sharing. I love Metro Rings! I also love using solids....Thanks for the chance to win! I like the metro lattice. I just started making an art quilt, and so am now getting into a solids phase! I like Metro Rings! Sometimes I like solids and other times I prefer prints. I love both solids and prints, depending on pattern, project and mood. This sampler is fabulous, I'd love to try it. Thanks for the chance! Love the Urban Tiles! I do like sewing with solids, also. peterstankovich@comcast.net Thank you! I love the Metro Medallion pattern - I've completed one myself and it is stunning in Kaffe Fassett prints. I'd love to try another pattern though - the Metro Lattice is next on my list to tackle. I don't work much with solids, I prefer to use fabrics that 'show as a solid' colour using a monochromatic pattern. Nice result on your Curve it Up quilt! I love the look of Urban Chained. There are so many wonderful patters and I have made a quilt top with the Urban Birthday pattern. 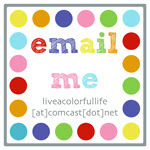 • • • I'm liking the whole Urban line, but think I would start with Urban Candy. I like how the solids look in some of the patterns, but still haven't been able to play with them myself yet. I love the metro Rings. I enjoy the Kona solids for basics and wide color choice. I like metro lattice. I haven't used many solids but I love the look of others work in solids. I love all of her patterns, but like Metro Lattice right now, I am in the middle of making an all solids quilt, one block at a time. My favorites are Urban 9 Patch, Medallion, and Deco Shimmer. The curved 9 patch is just awesome and I've been drawn to it ever since I first saw it a while back. The ruler makes it look easier than using templates! I like the Urban Birthday pattern and would love to try sewing with solids....altho I don't usually use just solids. Love the metro medallion pattern and I am just getting into using more solids with my quilts and love them.